Okay, we couldn’t help but share this one. If you’ve got a few heads to feed out on your next camping trip, this dish is bound to be a crowd pleaser. 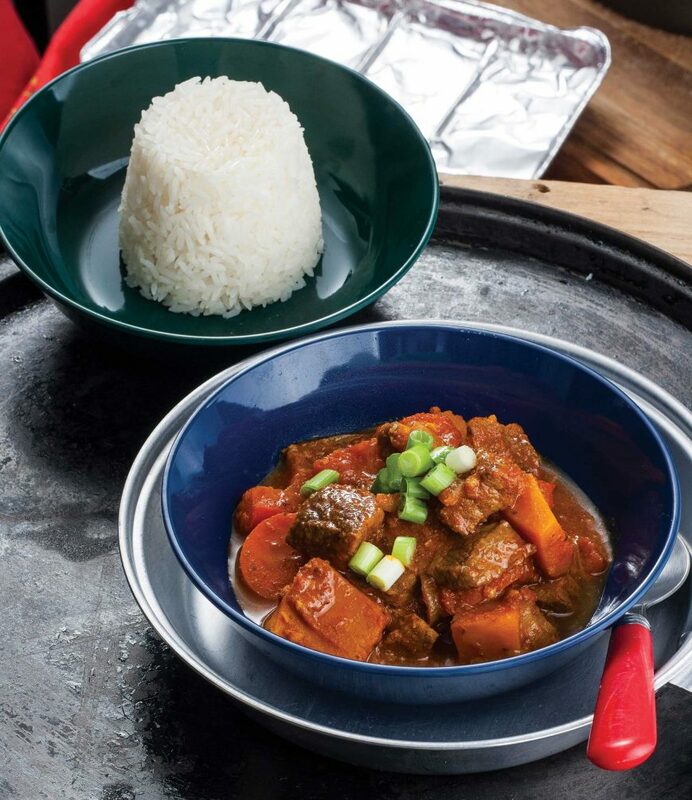 Watch Pat cook up another recipe from his Recipes from the Road Glovebox Guide – a beef and pumpkin curry that’s delicious, hearty and really easy. Preheat your small camp oven over medium coals or a gas stove. Add a splash of oil and brown the beef for a couple of minutes until sealed – do this in four batches (this prevents the beef from stewin), adding another splash of oil each time. Remove and set aside. Add another splash of oil to the camp oven and cook the onion and garlic until softened. Stir in the curry paste and cook for another minute then add the pumpkin, carrots, capsicum, beef stock and tomatoes. Stir well. Add the browned beef and any juices, stir in well to coat it then reduce the heat down to a simmer. Place the lid on and simmer gently for 20 minutes, stirring occasionally.